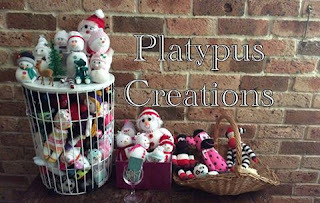 I had no idea that my sock dolls would take over my craft life. I found that enjoyed making them. I sold a few straight away as friends saw them. This support inspired me to post some photos of them on Facebook and more saw them and liked them too! More sales eventuated. 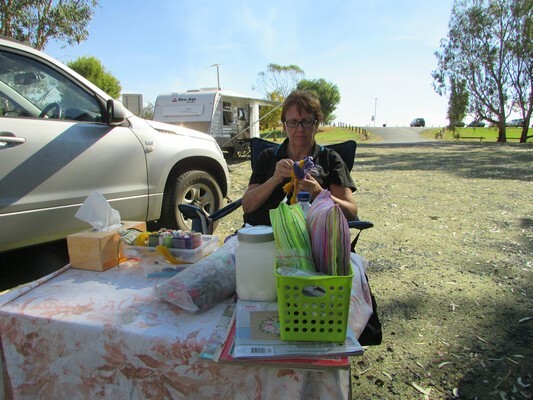 Once again, we've been travelling, this time 6 months around western NSW and then up into Queensland. 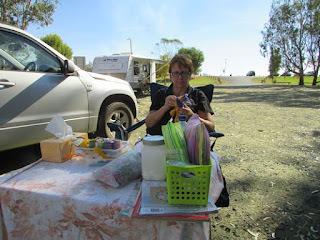 I always have to have something crafty to do and making sock dolls are very easy to take on the road with me. I have now expanded to include a variety of sock creatures. If you are interested you can look or follow my travel blog: Robbiegabgo. Today there are lots of different models of cats, rabbits, owls, penguins, dogs and cats. My sock monkeys have really taken off and I can hardly keep up with the demand. I have so many ideas for more animals but we'll see as I also have a life outside of craft. I have decided to have a separate blog for my sock creations so from now on 99% of my sock dolls can be found there on Platypus Creations. So pop over or follow me on Facebook of the same name! I hope to post a tutorial on some of the dolls and animals I make one day.